World Jewish Congress president calls for protection against Islamists 'taught to kill,' one week after Brussels shooting. World Jewish leaders Monday called for "stronger" security against Jihadists returning home to Europe who have been "taught to kill" in Syria, according to AFP. Speaking more than a week after the fatal attack on the Jewish Museum in Brussels, leaders of the World Jewish Congress (WJC) warned that the increasing numbers of young people recruited to fight in Syria by Islamist radical networks threatened the safety of all Europeans. The hundreds of Islamist fighters "coming back to a Europe they hate, they were taught to kill," Ronald Lauder, head of the WJC, told a news conference after the arrest in France of a former Syrian fighter suspected of being the gunman behind the attack. "How we stop them I don't know but we know very much that security forces today in Europe have to be made much stronger. They are not able yet to handle some of these people," he added. Three people were killed and one is still fighting for his life after a lone gunman walked into the museum in a busy popular corner of downtown Brussels and opened fire, first with a handgun, then with an automatic rifle. Frenchman Mehdi Nemmouche, 29, who spent more than a year fighting in Syria, is being held in custody on suspicion of the attack after being detained Friday in Marseille, apparently as a result of a random customs check on a bus that started its journey in the Netherlands. 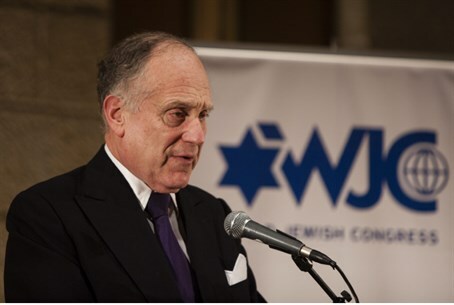 Calling on European leaders to do more to fight anti-Semitic propaganda on the Internet and through education, Lauder warned that "what starts out as anti-Semitism can change ... into anti-Christianism or anti-anything." Belgian Jewish leader Maurice Sosnowski meanwhile said the community was asking for financial help from the government to boost security "as is the case in Britain and France."